Carl Nielsen’s Third Symphony, which premiered in Copenhagen (Denmark) just over 100 years ago, had its first-ever performance in Austin this month. Long over due? Absolutely. This is a great symphony by one of the major composers of the Twentieth Century; “kudos” to Maestro Peter Bay and the Austin Symphony, not only for finally bringing this music to Central Texas, but also for the quality of the performance. With the Third Symphony, Nielsen (photo: left) really began to find his own voice as a composer. His first two symphonies each have moments of beauty and excitement, but it is in the Third that Nielsen first demonstrates the individuality that was to characterize his mature works. As one might expect from a composer who spent many years playing in an orchestra, the Third Symphony often looks backwards. Its bracing opening chords recall the beginning of Beethoven’s Eroica Symphony; the entire first movement recalls the ¾ metre, the rhythms and the energy of the first movement of Schumann’s Rhenish Symphony; and the symphony’s blend of folkloric tunes and predilection for massive climaxes is reminiscent of Bruckner. While drawing inspiration from his predecessors, however, Nielsen went beyond them in his sense of drama and the juxtaposition of wildly contrasting elements. In this respect he brings to mind Mahler, one of his most illustrious contemporaries. 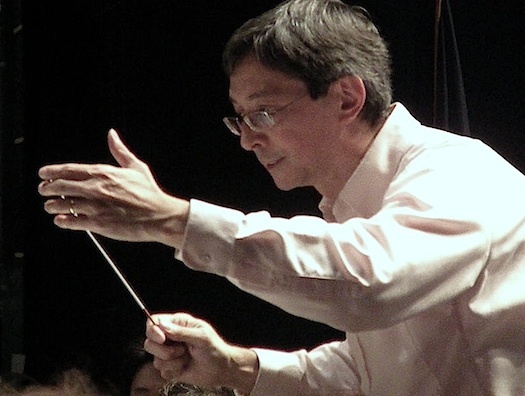 Peter Bay brought plenty of driving energy to the first movement of the symphony. I don’t think I have ever heard the Austin Symphony play with such a powerful weight of sound. As with any great symphonic work it takes a master conductor to let the brass and percussion have its head without rendering the strings irrelevant or even inaudible; Maestro Bay managed this feat with authority in the Nielsen, and in so doing let the audience hear a neglected masterpiece in all its glory. The strings played heroically, with the brass and timpani shaking the building in the big moments, just as the composer intended. Nielsen the innovator comes to the fore again in the slow movement in which he introduces a soprano and a baritone to the score. These are wordless voices simply adding different colors to the orchestral texture; unfortunately, the soprano was so loud and sang with such an unpleasant vibrato that Nielsen’s conception was ruined. What a shame when the winds and strings were playing so beautifully! The finale of the Third Symphony begins with a tune that could have been written by Elgar or Holst – there is something positively British about it – which Nielsen then proceeds to manipulate in weird ways, ending the movement in a blaze of brass and timpani riffs. It must have been gratifying for Maestro Bay and his players to receive such a rousing ovation at the end of their performance. Perhaps Nielsen’s time in Austin has finally come. The concert opened with a fun piece by Zack Stanton, a 29-year-old faculty member at the University of Texas. Triple Venti Latte dates from his student days while he was working at – you guessed it – Starbuck’s. According to the composer, he needed the money and the caffeine to cope with graduate school and a new baby in the house. The piece is very accessible in style and might even have a future in pops programs. I suspect that most people came to this concert not to hear Nielsen or Stanton, but to hear Rachmaninov’s Piano Concerto No. 2. In all honesty, I can’t say that I myself was looking forward to yet another run around the track by this popular warhorse, but it’s always exciting to contemplate what talented performers might do with familiar music. 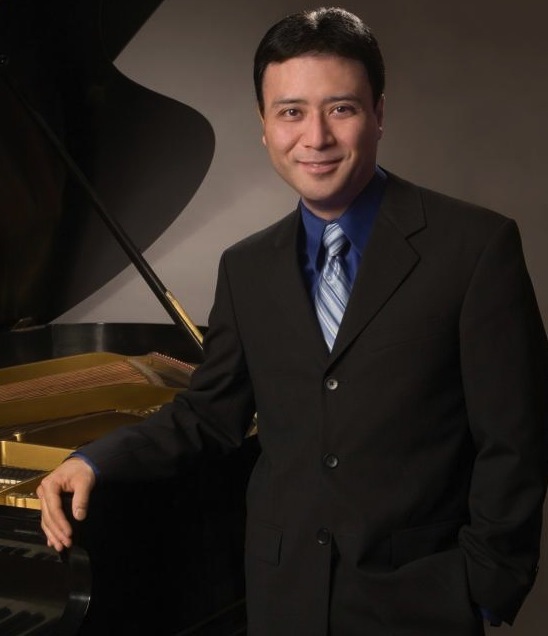 Jon Nakamatsu (photo: right) came to prominence as a prizewinner at the Cliburn Competition in 1997 and has since established himself as an important artist. On this night there were no theatrics and there was no personal indulgence of any sort; instead, we had a very high level of technical competence and unfailing musicality. Just as importantly, soloist, conductor and orchestra were perfectly attuned to one another. As in the Nielsen, Maestro Bay had the orchestra playing with precision and power. This was an outstanding performance. For an encore, Nakamatsu gave the audience another crowd-pleaser – Chopin’s Fantasie- Impromptu – and again, he played beautifully and the crowd was, well, pleased. This was the last concert in the Austin Symphony’s 2011-2012 season “main series.” An important premiere, the Symphony No. 4 by Edward Burlingame Hill (1872-1960), is in the works for the 2012-2013 season. Hill, perhaps best known today for having been one of Leonard Bernstein’s teachers at Harvard, was a serious if neglected, composer. He was one of the first Americans to study composition in Paris. Many of his orchestral works were played by Koussevitsky and the Boston Symphony. The Fourth Symphony dates from the years 1940-41. The work will be recorded live for later CD release next May. Yes... I understand your position on the Rachmaninov second concerto; yet when it is done by, say, Evgeny Kissin, you can hear things in this music that might surprise you. On Sunday, June 17, 2012 I will be going to a concert by pianist Yuja Wang with the San Francisco symphony. They will be performing the Rach. #3.